When you are struggling with arthritis and joint pain it can feel as though nothing works for you. Aside from a lot of pain medications, treating arthritis and joint pain in a natural, safe way often goes overlooked. But acupuncture studies have proven helpful in combating joint pain. Why Use Acupuncture for Joint Pain? Because acupuncture treatment offers a medication-free way of combating pain. How Does Acupuncture Work for Arthritis & Joint Pain? To understand how acupuncture works to treating arthritis and joint pain, we must first look at how acupuncture works in general. For those unfamiliar with this type of treatment, acupuncture is based on the idea that the body has Qi, which is energy, that flows through your body. When your body is functioning properly, you feel no disruptions which can come in the form of sickness, skin issues, digestive issues, joint pain, headaches, etc. Acupuncture uses tiny hair-sized needles placed throughout your body to unblock your Qi and get your energy back to flowing properly. There are over 2,000 points on your body used in acupuncture, don’t worry, they aren’t used all at once. Each of your system (immune, endocrine, cardiovascular, respiratory, etc.) has corresponding acupuncture points and depending on your symptoms, your acupuncturist taps into certain points to alleviate your pain. The insertion of these tiny needles releases endorphins, the body’s natural painkiller. 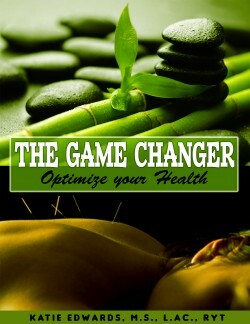 So your body is releasing its natural painkiller and your body is opening back up its energy flow. The effects of acupuncture are cumulative and it usually takes time to see results. However, each person’s pain and body are different so the exact number of session and time for results can vary. When you make an appointment with a certified acupuncturist, they will ask you a variety of questions regarding your pain and overall medical history. From there, they will be able to recommend a specific course of treatment. If you’re having pain and want to speak with someone about an alternative to prescription medication, contact our clinic to learn more.